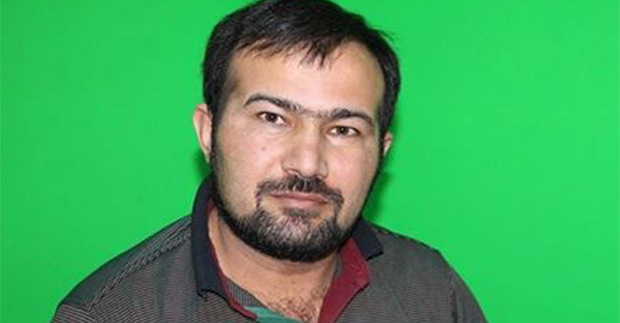 Azerbaijan: Journalist sentenced to five years for "aggravated hooliganism"
Azerbaijani journalist Seymur Hezi, who works for Index on Censorship Freedom of Expression Award-winning newspaper Azadliq, has been sentenced to five years imprisonment for “aggravated hooliganism”, according to Azadlıq Radiosu. “Index condemns the sentencing of Azerbaijani journalist Seymur Hezi, who was arrested last year on trumped up charges of disorderly conduct. The ‘crime’ for which he is actually being punished is journalism and his attempts to tell the truth about a brutal authoritarian regime that systematically stifles dissent,” Index CEO Jodie Ginsberg said. Hezi’s sentencing is another sign of the continuing clampdown by Azerbaijan’s authoritarian government on civil society. Earlier this week, investigative journalist Khadija Ismayilova‘s pre-trial detention period was extended by a Baku court; other prominent human rights defenders who have been arrested in recent months include: Leyla Yunus, Arif Yunus, Rasul Jafarov, Anar Mammadli and Intigam Aliyev. Hezi was arrested on August 29 2014 after an altercation in which the journalist said he was protecting himself from a physical assault and harassment, according to his lawyers. Azadlıq Radiosu reported that Hezi’s lawyers and family are certain the arrest and the sentence are politically motivated and that Hezi is innocent. His father, Meshqul Heziyev told Azadlıq Radiosu, “the hearing was biased and turned down all of the motions. At the end it simply carried out a politically motivated order”. “Seymur Hezi’s arrest is a serious blow against our newspaper. He is one of the brightest Azerbaijani analysts and journalists, and a true intellectual,” Rahim Haciyev, acting editor of Azadliq newspaper, told Index at the time of Hezi’s arrest. Haciyev said he is sure Hezi’s arrest is the result of a planned provocation and the journalist is prosecuted for publishing critical articles on the authorities in the newspaper, as well as in his online TV program “Azerbaijani Hour”, which he scripts and hosts. In March 2011, Hezi was abducted and tortured by unidentified men. He was warned to keep quiet. Seymur Hezi is also host of news programme “Azerbaijan Hour” and is a member of the opposition Popular Front Party.